Time for Alternator Repair or an Upgrade? JEGS 1-Wire Alternator means just that... simply connect one wire from the alternator to the battery, and you're done. 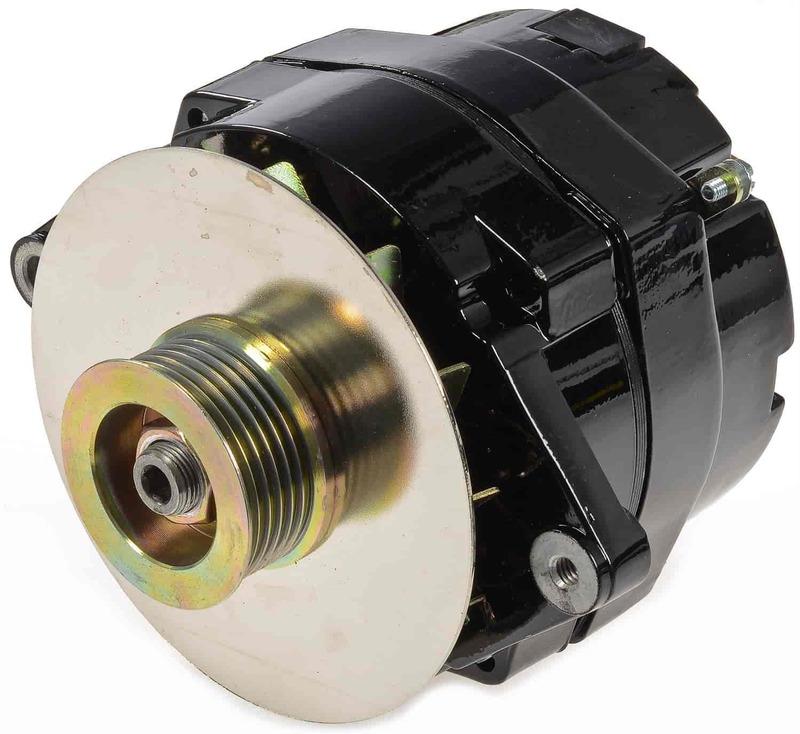 For 1971-1986 GM applications, replace the stock 63-amp alternator with a JEGS high-output unit that has a voltage regulator and turbo fan to keep internal components cool. 10121 is rated 4.3 out of 5 by 4. Rated 5 out of 5 by Debi from Great Alternator Made in USA and it works excellent, had same alternator on my other daily driver for years will buy again Great parts Great prices Great service from JEGS. Rated 4 out of 5 by Rangrayy from awesome looking alternator looks good and hopefully functions as it should. I rated as 4 star since I have only installed and cannot comment on the function yet. Installation was a breeze only recommendation is getting a new bolt for the spacer. I plan on running a 6g or a 4g ground wire instead of the recommended 10g wire. Also the fan is starting to show a small bit of surface rust but not a deal breaker. Rated 3 out of 5 by canuck from this is my third one in 10,000 miles what can I say. two have gone bad on a lowbmileage show quality rod.